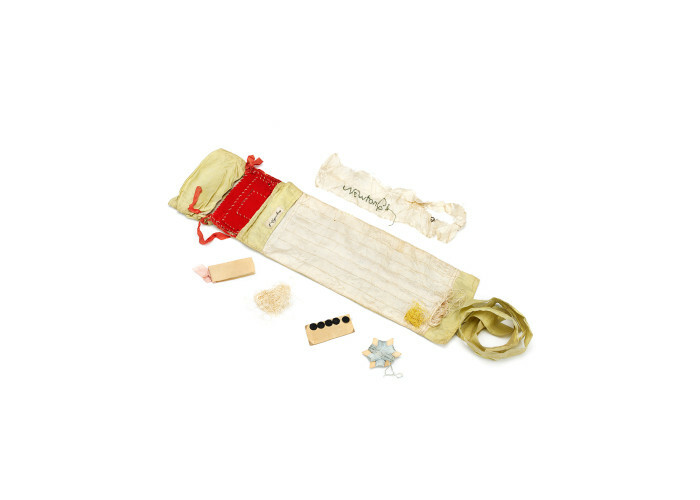 This is known as a “housewife”, a compact sewing kit that a soldier carried on campaign to mend his uniform. It was owned by Captain Newton Chambers, who served with the 1st Regiment of Foot Guards. At the Battle of Waterloo he was aide-de-camp to General Sir Thomas Picton and was killed during the battle, as was Picton himself. 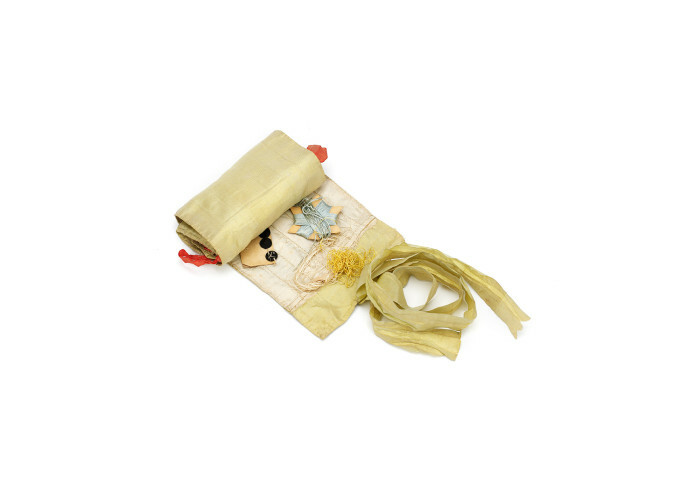 This housewife was made of silk pockets containing threads, five buttons and a small pincushion in a card tied with a pink ribbon. 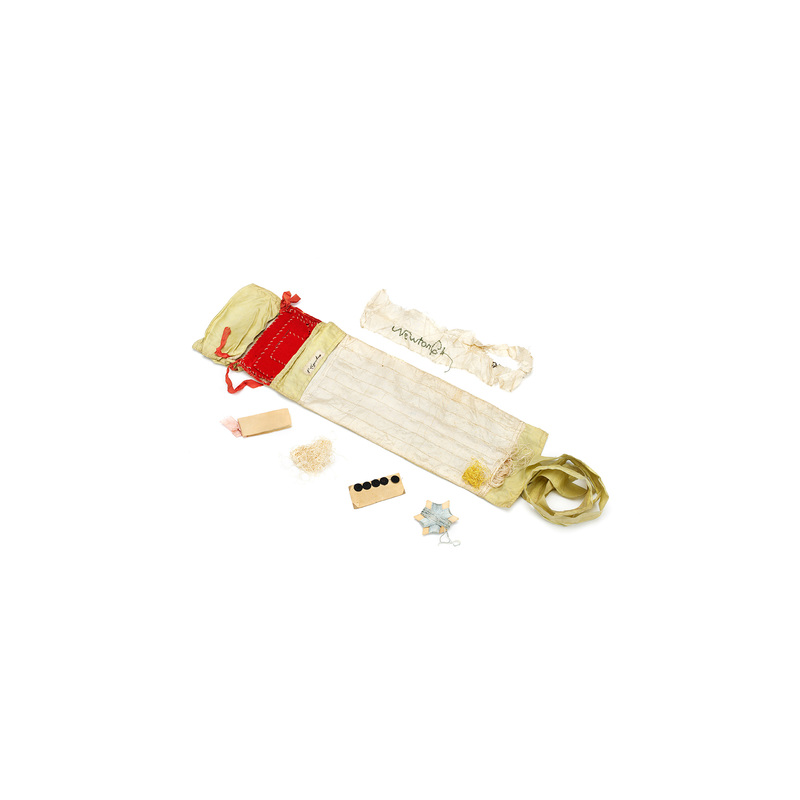 The term housewife referring to a portable sewing kit was used in print for the first time in 1749. 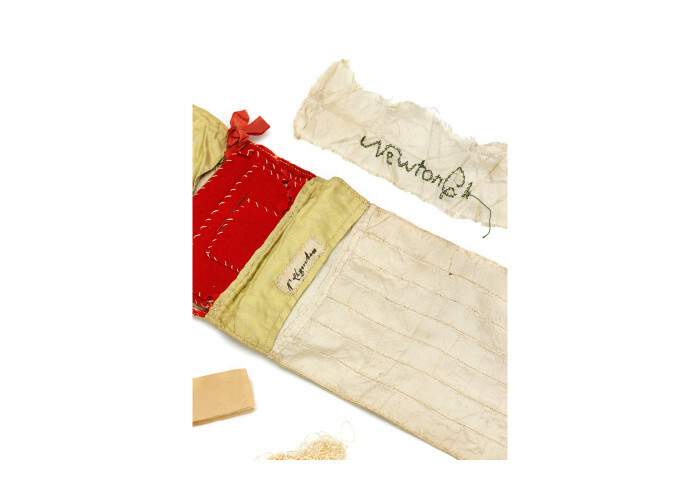 Such kits were also known as a “hussif”. 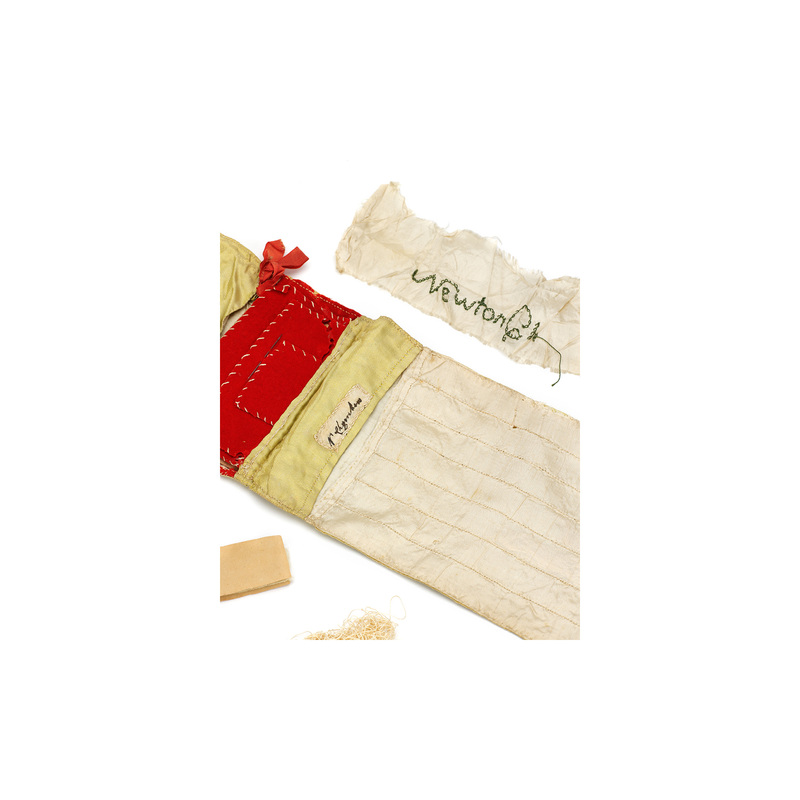 In the 18th and 19th centuries it was common for mothers, wives and sweethearts to embroider personalised sewing kits for their menfolk to take to war. The one above is obviously a gift from a woman who was close to Captain Chambers. 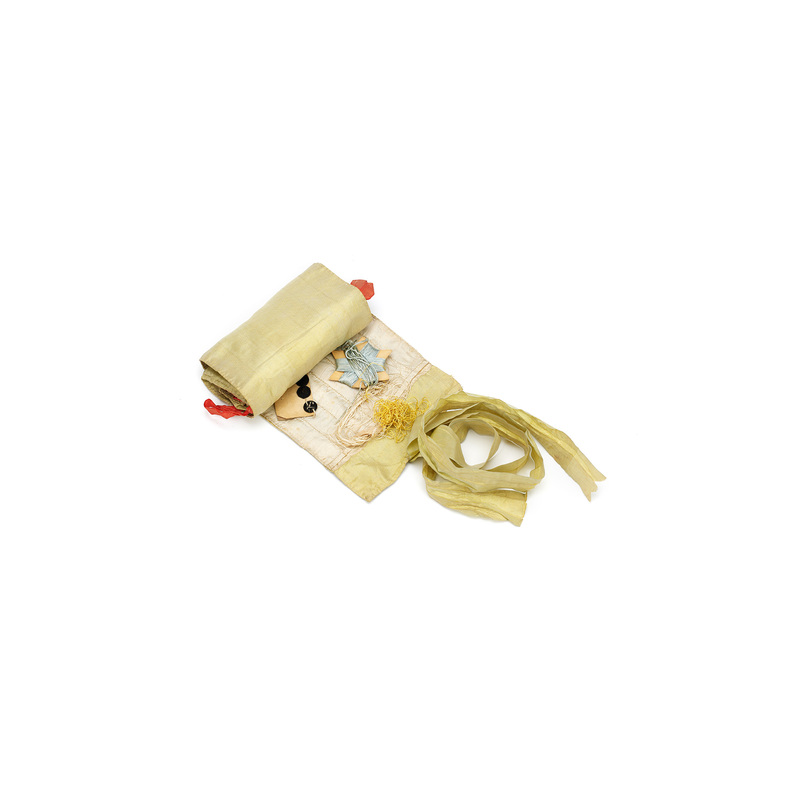 These sewing kits are very popular with collectors today. 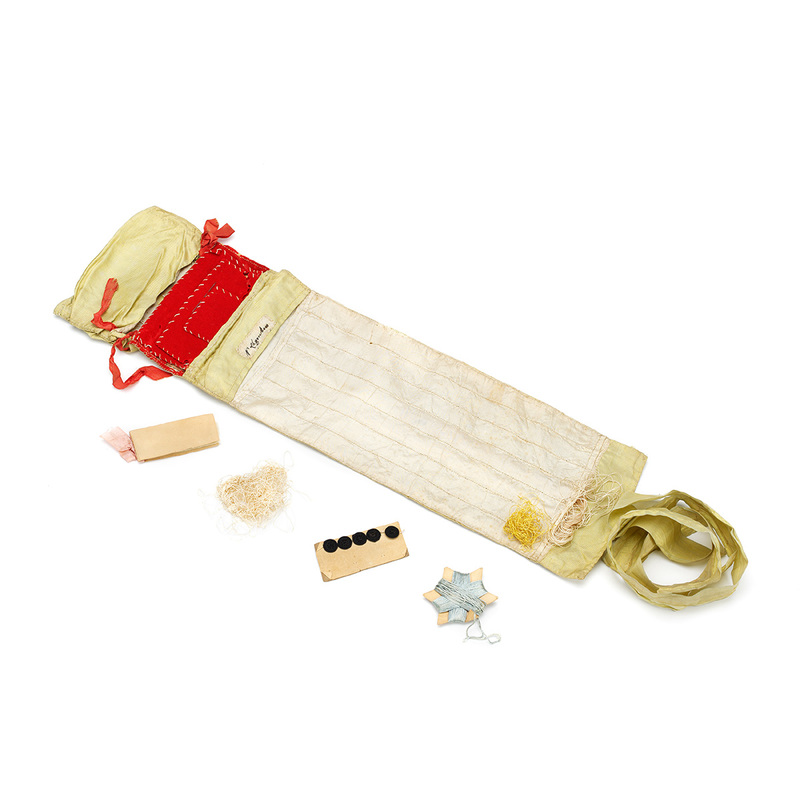 From the mid 19th century to the mid-20th century a more prosaic khaki roll-up pouch containing thread, buttons, scissors, needles and a thimble became standard army issue. 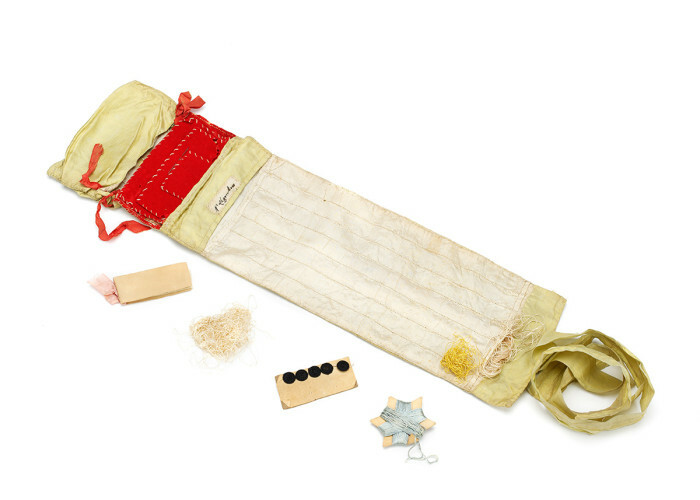 Before the advent of safety pins the housewife was useful for mending uniforms and sewing on buttons, ranks, and awards. The needle could also be used for removing splinters, and on occasion, sewing up a wound. Some soldiers even took up recreational needlework. After the First World War (1914-18), embroidery became a popular therapeutic occupation for wounded soldiers.